Overview: Sangiovese may be a variety that is relatively new to Australian grape grower but it a variety that has been used in the old world for a very long time. Its prolific use dates all the way back to the 16th century and its origins reach back even further. I see its name often tease the Australian consumer who has never heard of it before, firstly it taunts them with the pronunciation of its name. My favourite attempt at sounding out its name has been ‘sag-nee-o-vay-see’, apparently the order of the letters has no importance in this case. Often when presented with a lovely Sangiovese I see the consumer’s face drop and they look to the fool presenting it to them with a look on their face that says ‘well you tell me how to say it, smart@#$%’. To help the consumer associate the variety with something they may know the presenter says, ‘Sangiovese is the predominate variety used for making Chianti’. Finally, a light of recognition, the consumers face lights up and they say, ‘So it’s sweet?”… NO! NO ITS NOT SWEET!!!!!! Damn the cheap imports that came through a decade an ago. Damn those sweetened reds, packaged in bulbous bottles and a straw cage. These sweet, cheap reds did what Blue Nun did to Riesling. It may sound like I am a little to invested in this but it is a personal pet hate of mine. Sangiovese is savoury, spicy and complex just as the wine in this review is, a great example of what Sangiovese and Chianti has to offer. Tasting note: A spicy nose, pepper and cedar. Sour cherry on the palate joined by the spice mentioned on the nose, cinnamon and other savoury spices. 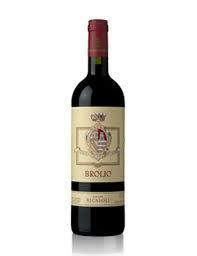 Soft tannins and a great length on that allows the wine to linger after each sip. Overview: Some brands suffer from the opinion that they are ‘too commercial’, brands like Rosemount, Jacob’s Creek, Penfolds, Wolf Blass and Yalumba just to name a few. These brands may have a larger, commercial presence but they have all originated from humble beginnings and while ranges like Rosemount Diamond Label, Jacob’s Creek Regional Collection, Wolf Blass Red & Yellow Label, Penfolds Koonunga Hill and Yalumba Y Series seem to dominate bottleshop shelves it is easy to forget that these brands also produce some of the best ‘premium’ Australian wines in Australia as well. Case in point, Rosemount Show Reserve, Jacob’s Creek Steingarten, St Hugo and Johann, Wolf Blass Grey Label, Penfolds Bin Series and Grange and Yalumba have the FDW [7c] and a range of other wines e.g. the Octavius that keep them in favour with those who drink these wines. Back in the early days of Australian wine production Chardonnay was often labelled as ‘Dry White’, the FDW stands for Fine Dry White, paying homage to those days. The 7c is Yalumba’s coding for the batch of Chardonnay used to make this fine wine. Tasting note: A flinty nose, steely with a hint of struck match (struck match is a character that comes from complex sulphides; we’ll delve into that another day). The palate is of rich stonefruit, white nectarine almost bordering on peach. The oak is subtle and well integrated, neither overpowering nor lost in the fruit. Final Say: A great wine to rekindle your love with a brand you may believe is ‘too commercial’. It sells for between $22-$27 and would love to compliment a cream based chicken dish. Overview: It could be said that if Grenache was a person it would be a shy individual. It is known to lend courage from its two buddies Shiraz and Mourvedre to deliver flavour and personality. While Grenache does shine when these two friends are about it is a very versatile variety on its own. It can make a fruit driven rosé. It can make a soft, aromatic red and it can make a rich, full bodied red. The Willunga 100 Grenache is one of those rich, full bodied red, spicy and addictive. Tasting note: A bouquet of cherries, strawberry and rich spice. The palate is chocolate like in its richness and velvety mouth-feel. Flavours of dark cherry and soft strawberry are complimented by chewy tannins. It lingers on the palate long after each sip. Final Say: This wine is great value, sells for between $17 and $20 dollars. It’s incredibly addictive; I found myself just wanting more, I actually felt panicked when the possibility hit me that this vintage might be sold out and I wouldn’t be able to get anymore… I seriously considered calling in some favours. Tasting Note: A plethora of aromas, raspberry, licorice and oak. A brooding palate of blackberry, aniseed, menthol and chewy tannins. Overview: Schlumberger. I love saying that name, it’s probably half the reason I love this wine, it gives me a reason to say Schlumberger. You would be right to think that Schlumberger does not sound to be a French name. That is because Alsace has jumped countries over the past 141 years. While Alsace is a region in France it was in1871 that it became part of Germany during the Franco-Prussian war. After World War I Alsace became part of France for a short time until World War II when it became of German ownership once again. In 1945 Alsace was returned to France where it has remained…for now. It’s hard to believe that between all this, time was found to make wine. 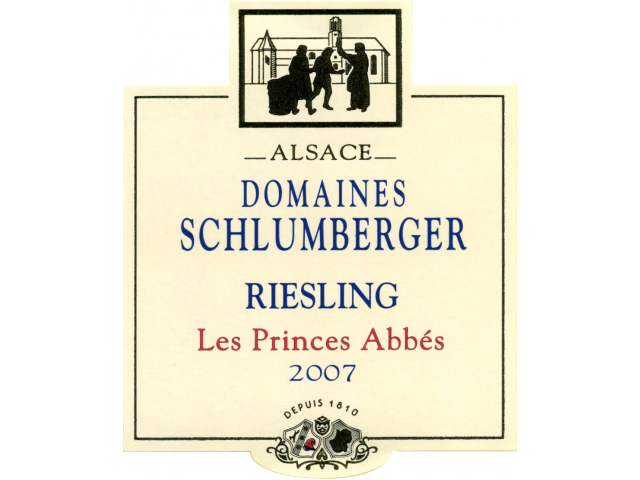 Alsace’s primary varietals are Riesling, Gewurtztraminer and Pinot Gris. The region is known for drier styles of Riesling whereas Germany is known for off-dry to sweet styles. Perhaps this is in defiance to the border tug-of-war? Anyway, enough with the history lessons, let’s talk wine. Tasting note: A nose of kerosene, that’s right, kerosene is a common descriptor for aged Rieslings (it’s a good thing, not a bad thing…unless it is present in a young wine), citrus and green apple. As per normal these characters join the palate and are complimented by mineral tones, talc, a rich mouth-feel and a soft acid. Final Say: While some beginners might think that kerosene is an undesirable flavour in a wine it is very common in dry style Riesling. I was once told that I was a heinous human for using kerosene as a descriptor, (it was printed in a tasting note I had written and a ‘lady’ had a good mind to email the place selling the wine to tell them that I did not know what I was talking about) but guess what, it’s there and cannot be mistaken for anything else, it’s a good thing so shut up and drink it. It sells for around $35 a bottle.